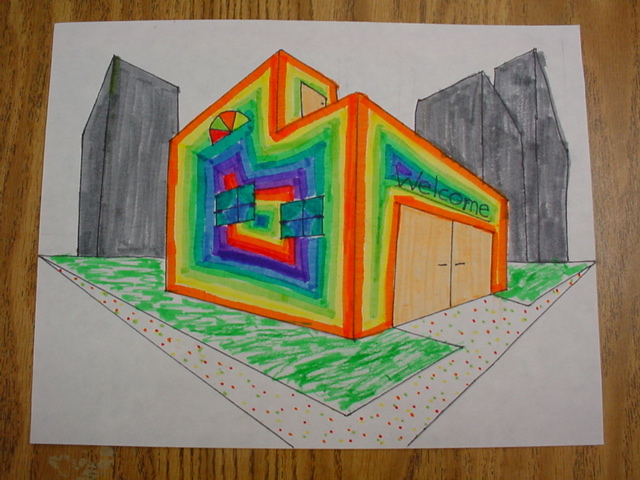 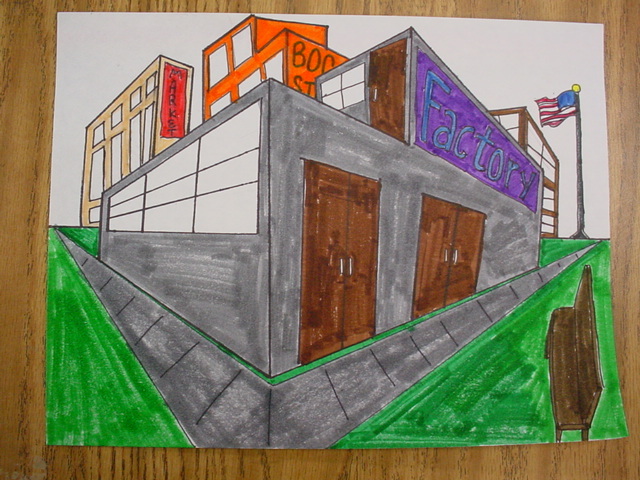 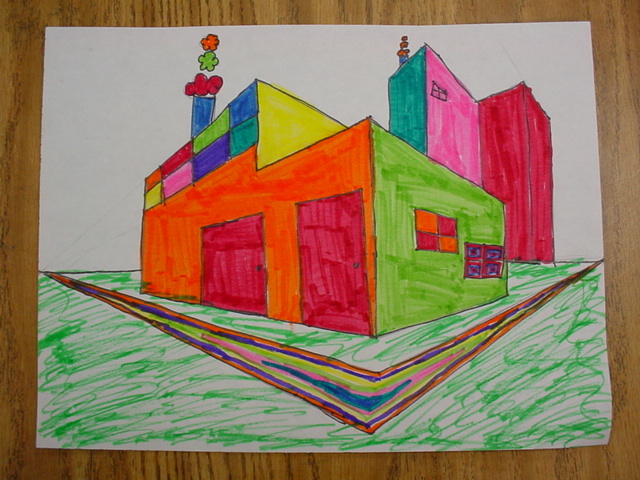 Fifth graders expanded their knowledge of perspective drawing and depth of space by creating buildings using two vanishing points. 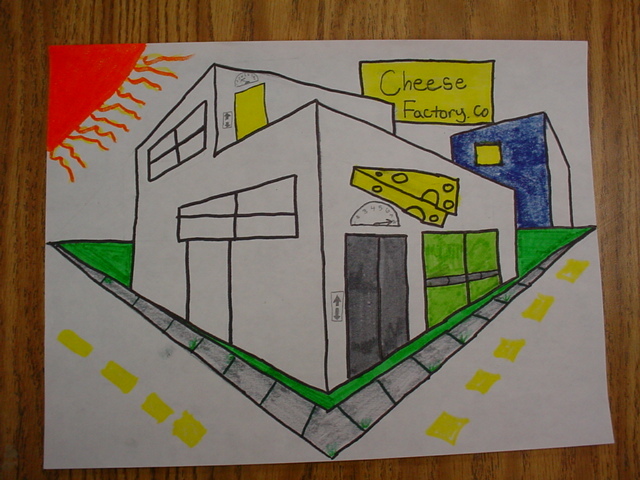 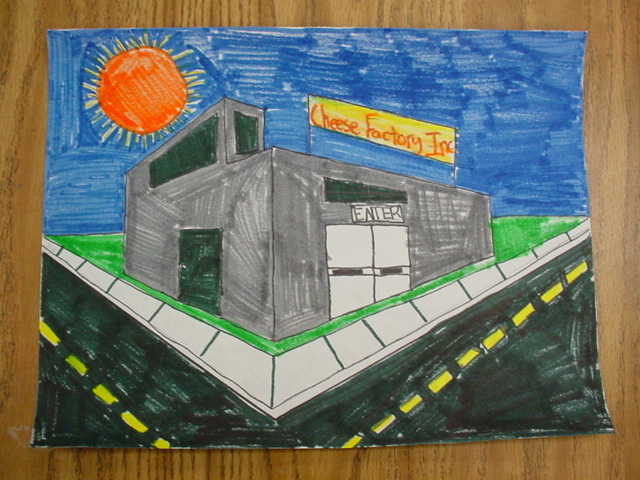 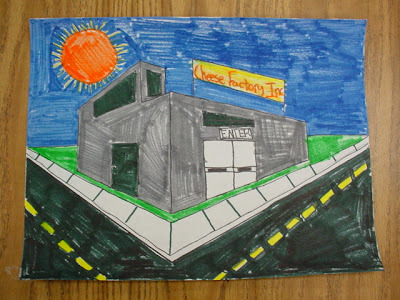 Not sure why the obsession with cheese factories... was this a subtle hint by the students that they thought my lesson was cheesy???? 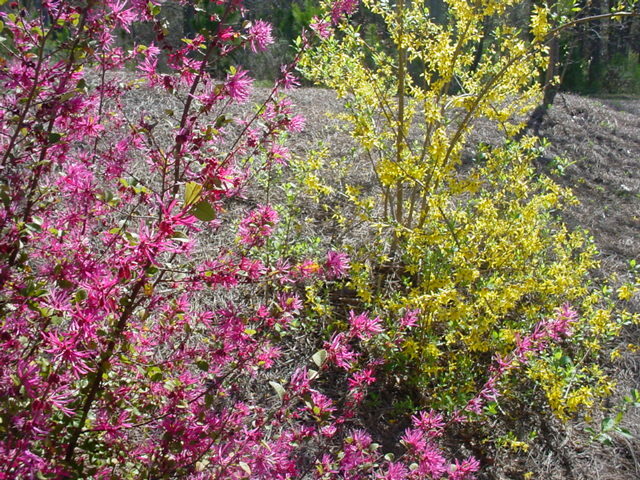 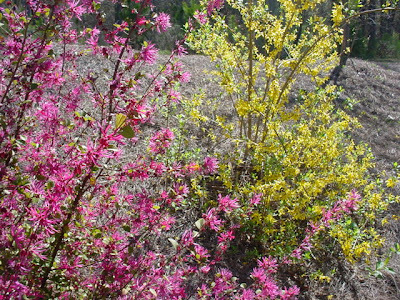 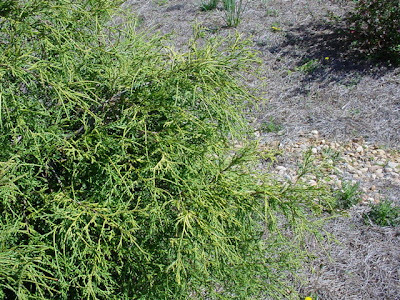 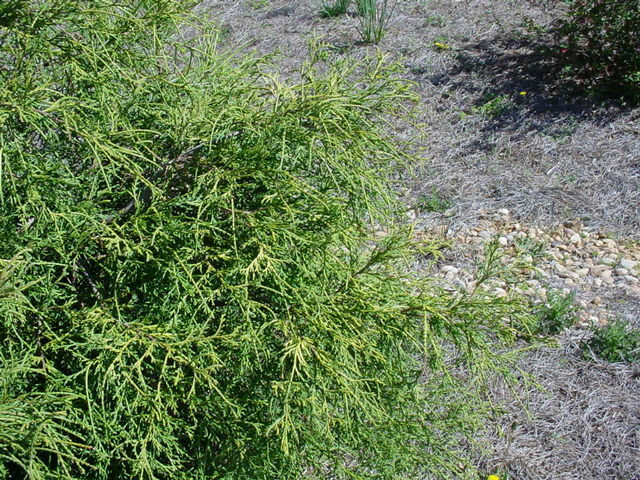 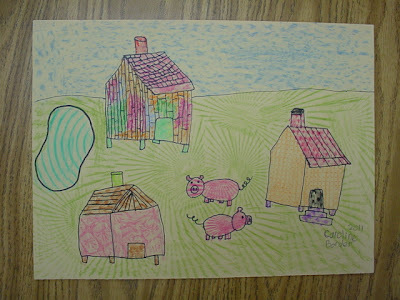 Beverly Buchanan is an artist who grew up in the rural south. 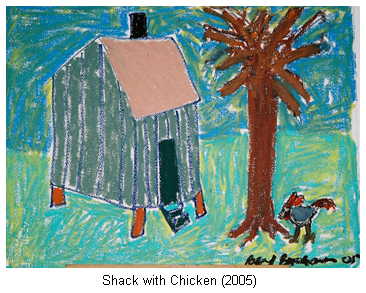 She has focused her career as an artist on celebrating the spirit of the people who built these shelters. 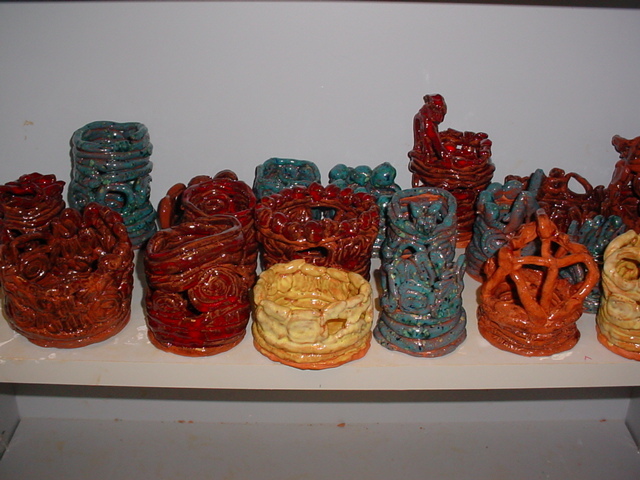 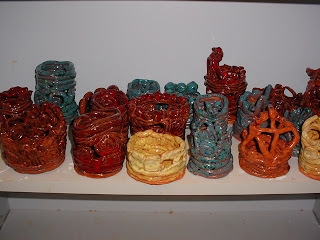 Her colorful drawings and paintings have lots of textural energy, and her sculptures are made of cast-off materials, just as the real shacks are. 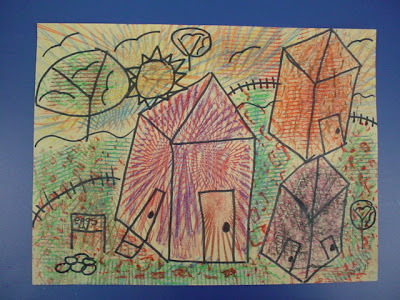 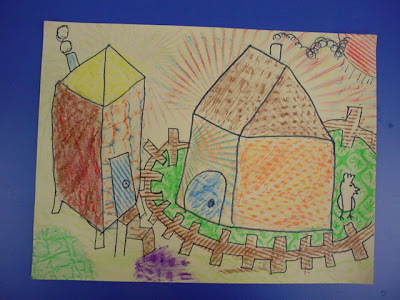 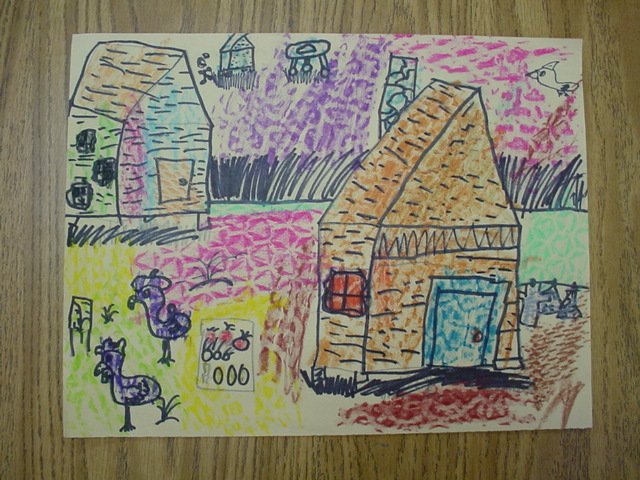 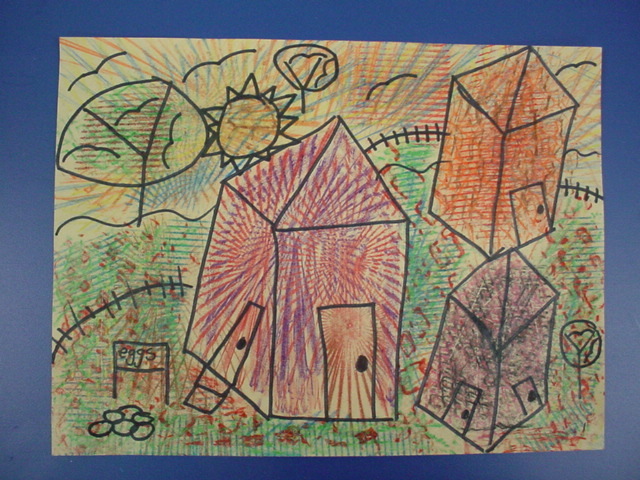 We tried her style by drawing a shack based on a geometric form and added texture with an assortment of texture boards that are rubbed over with crayon. 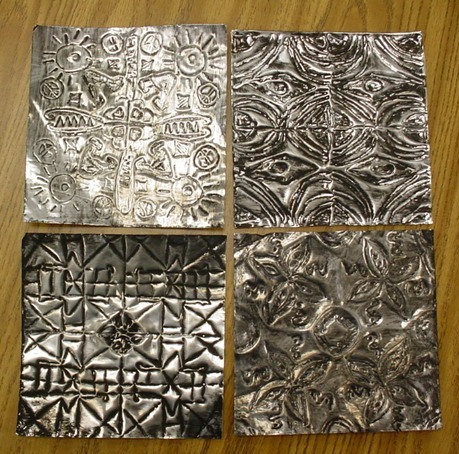 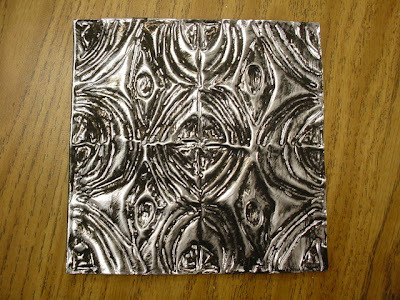 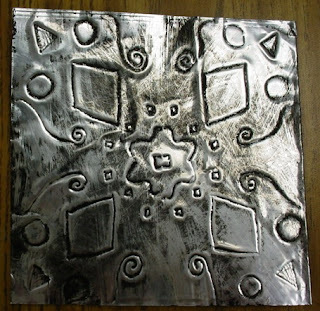 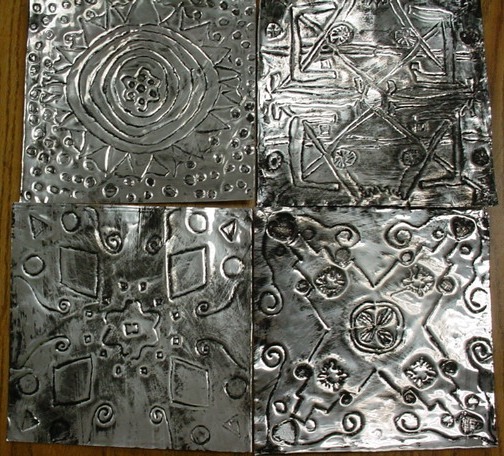 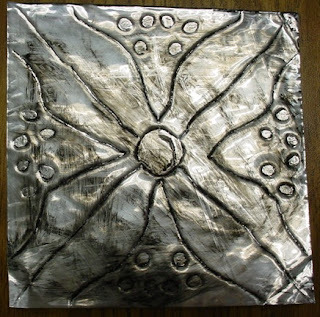 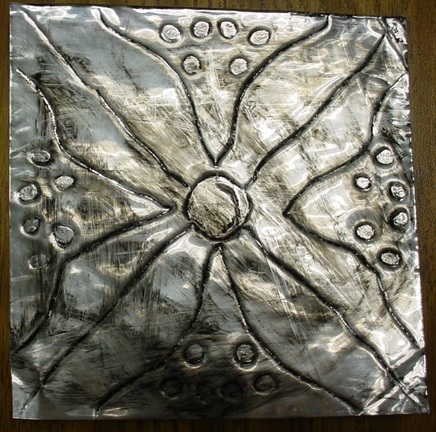 Fourth graders created radial symmetry designs using squares of metal that were embossed and antiqued with black paint, then rubbed for an antique finish. 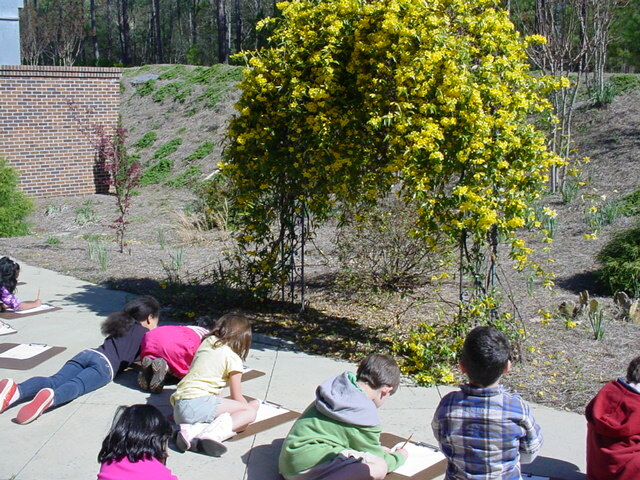 Let's fold paper cranes for Japan! 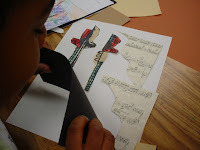 An ancient Japanese legend promises that anyone who folds a thousand origami cranes will be granted a wish by a crane, such as long life or recovery from illness or injury. 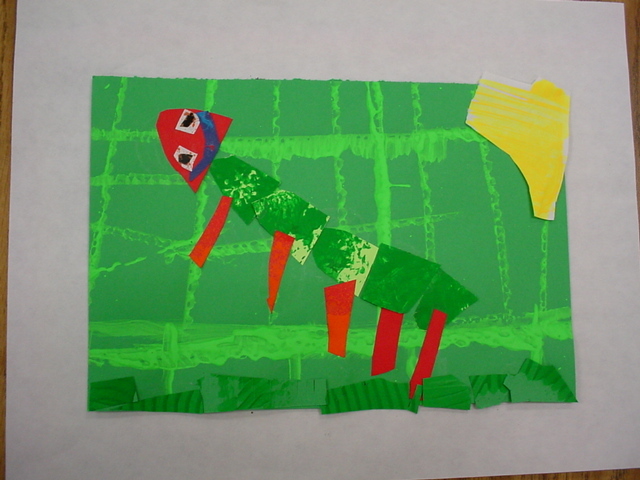 Let's see how many cranes the Dolvin Dolphins can fold, and send good wishes to Japan! 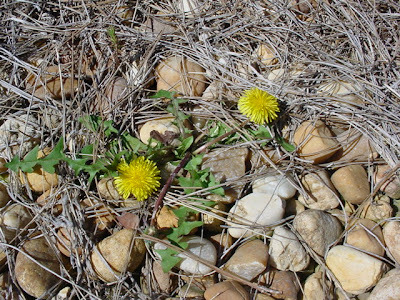 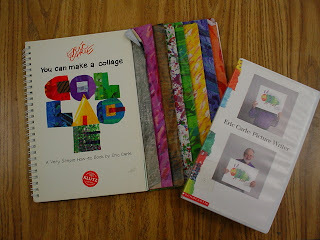 Fold them at home and bring them to my classroom. 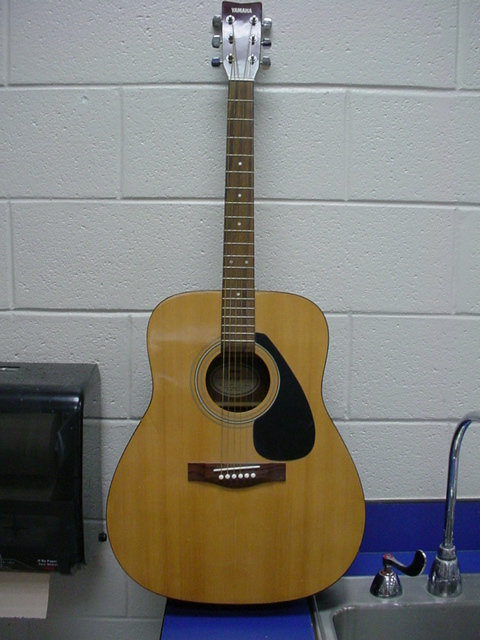 We will tally up how many we can get. I will also have folding instructions for you in my room if you come by before school starts. 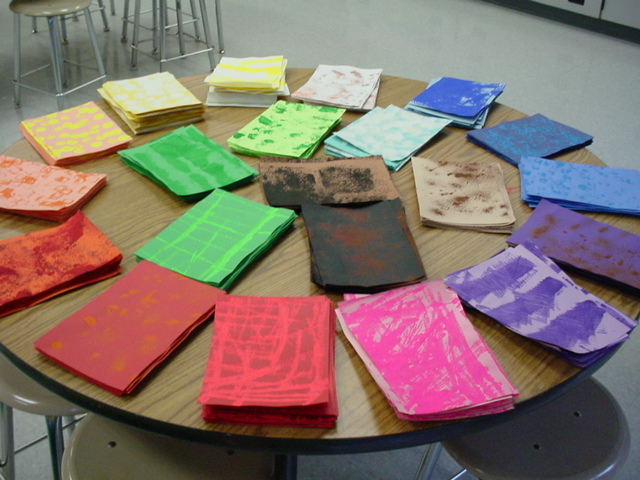 Happy folding!!! 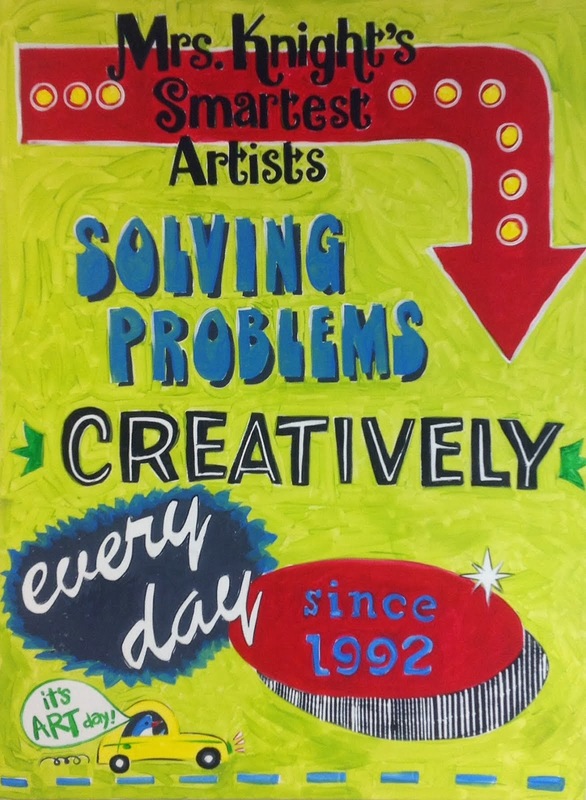 Talk about higher level thinking skills! This one is a doozy. 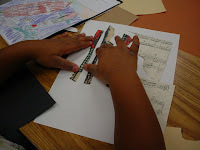 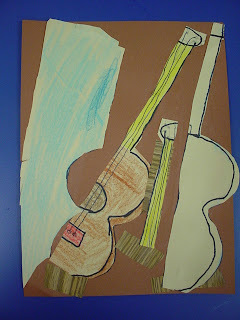 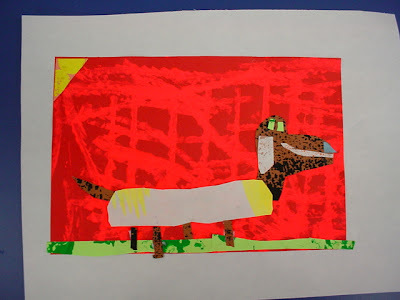 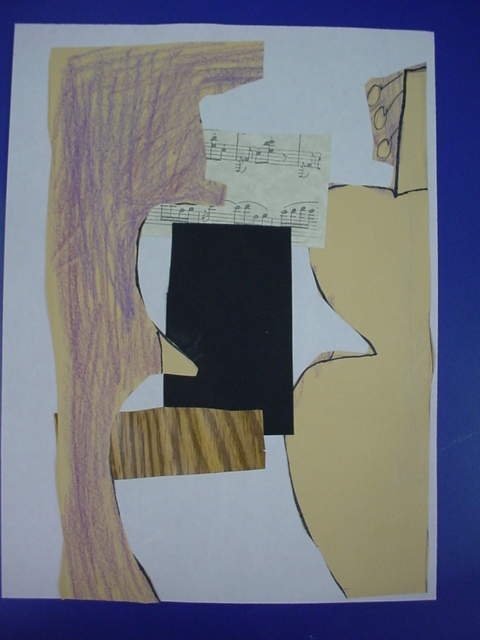 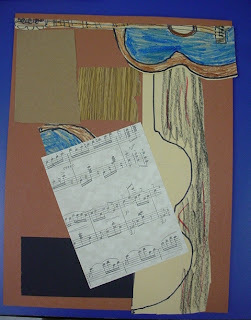 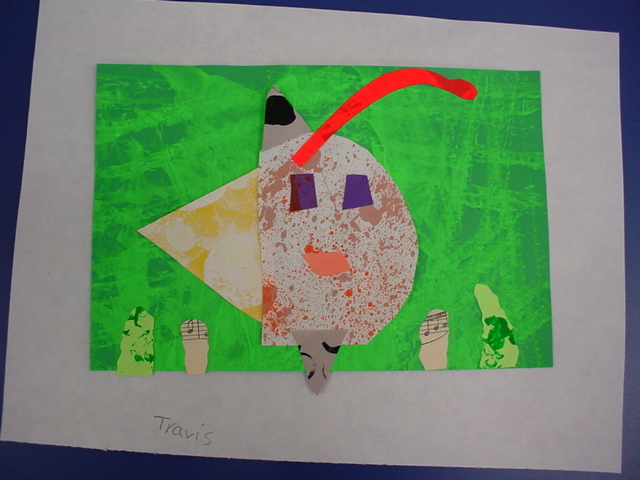 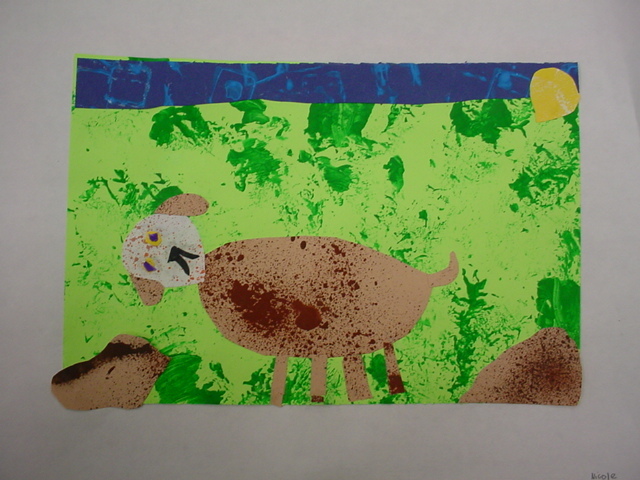 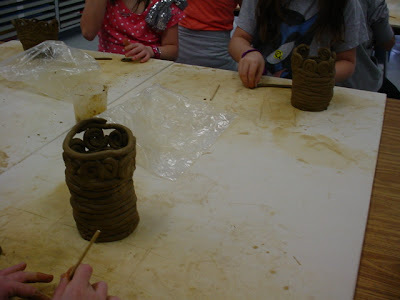 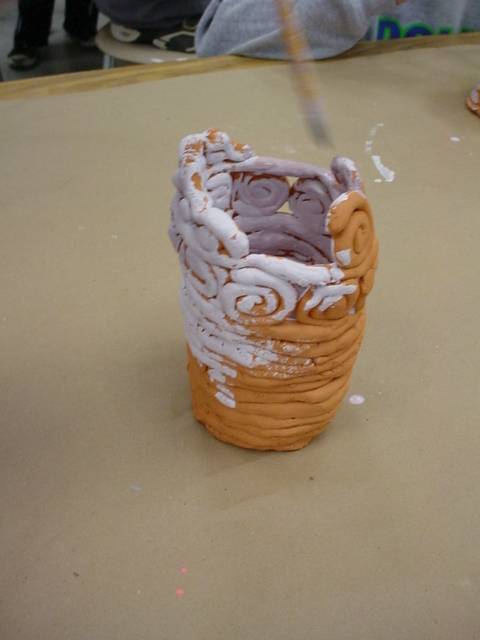 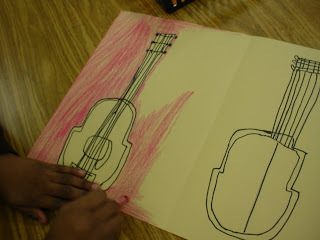 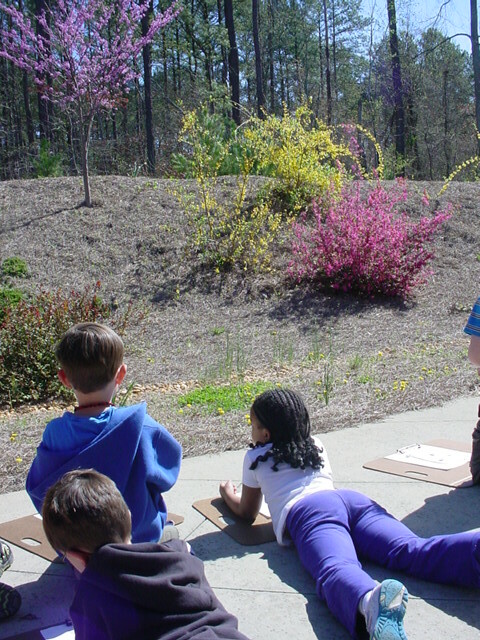 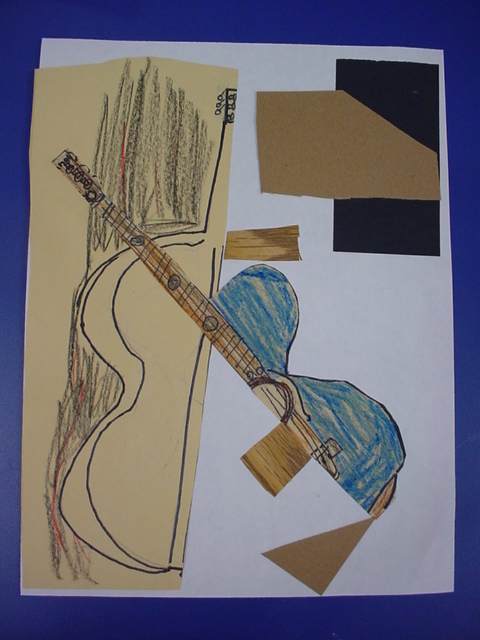 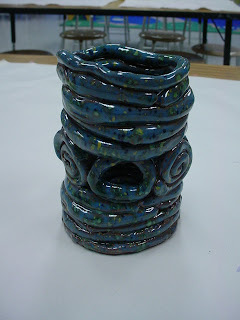 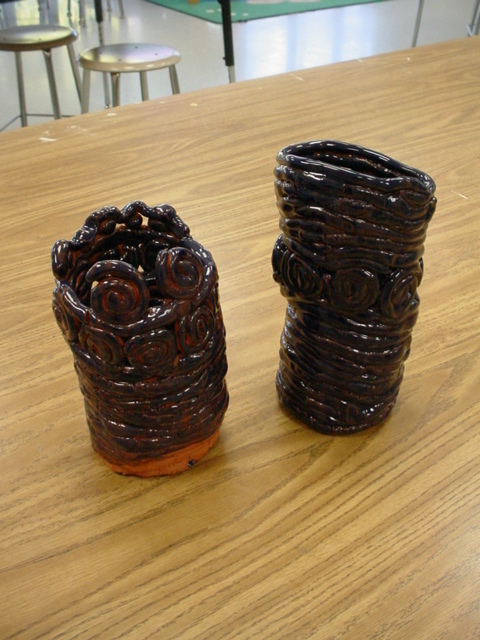 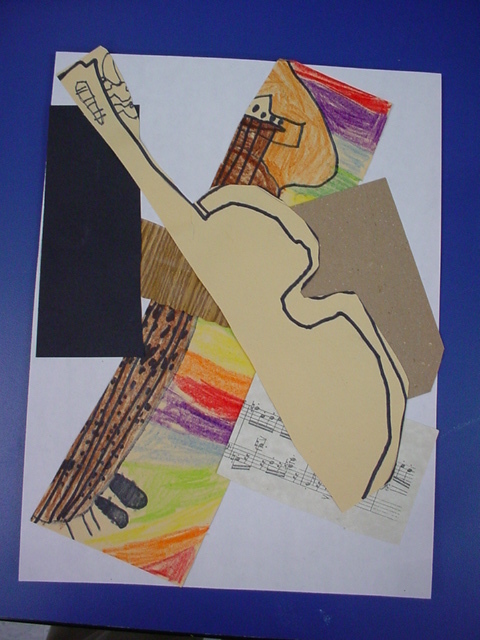 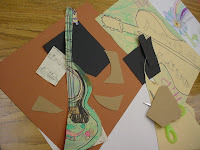 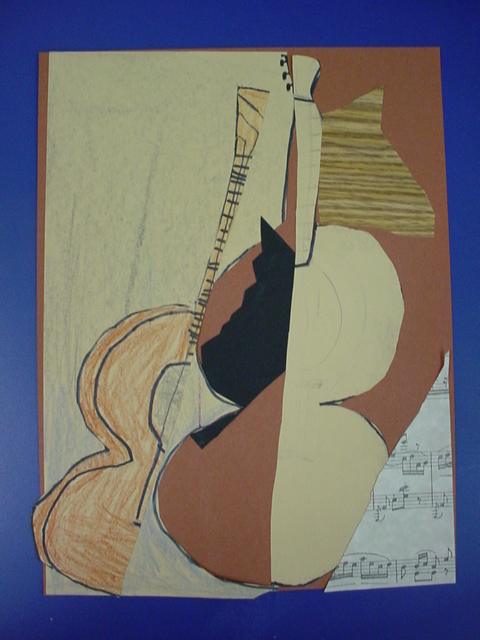 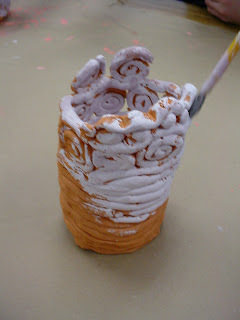 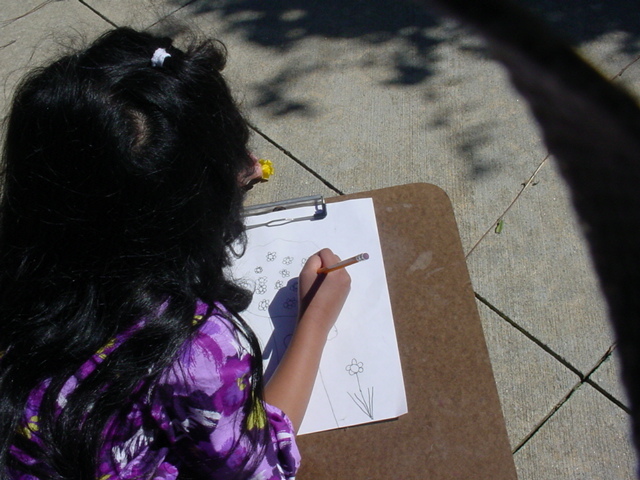 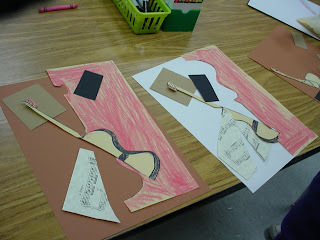 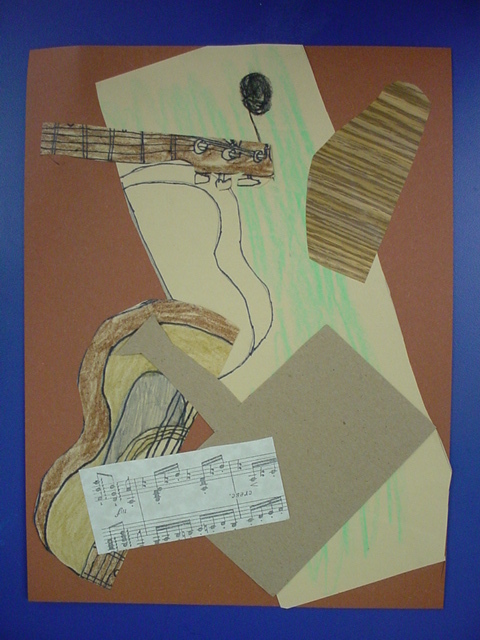 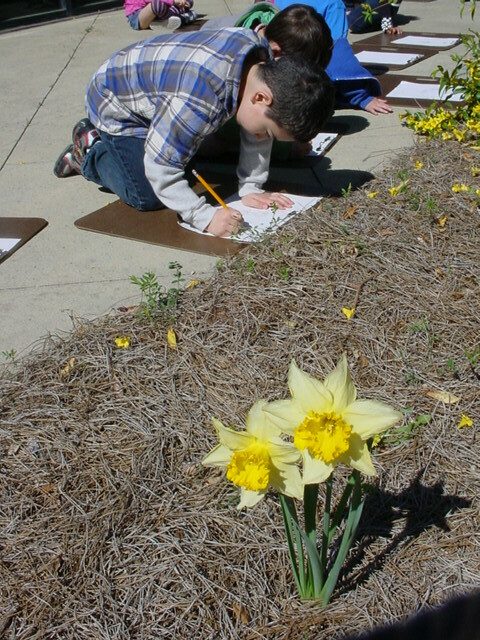 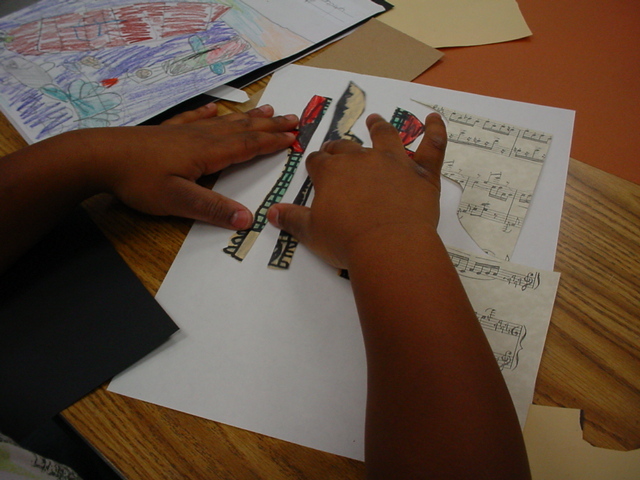 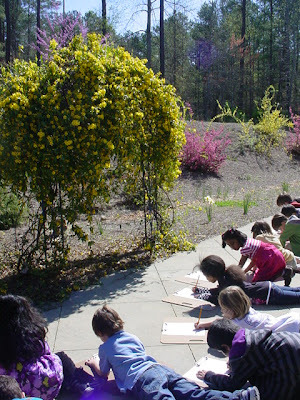 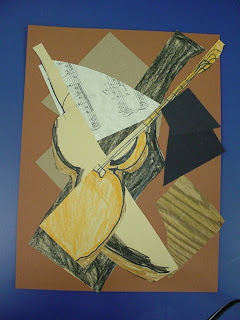 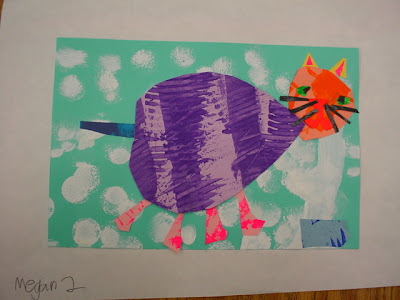 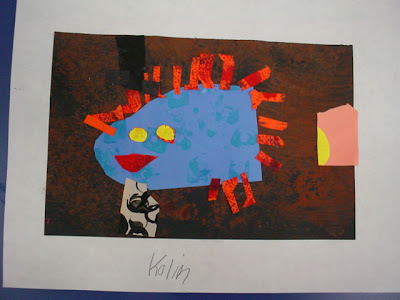 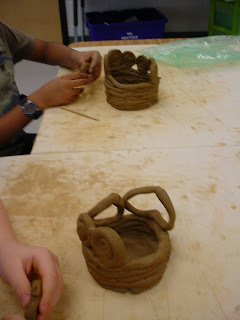 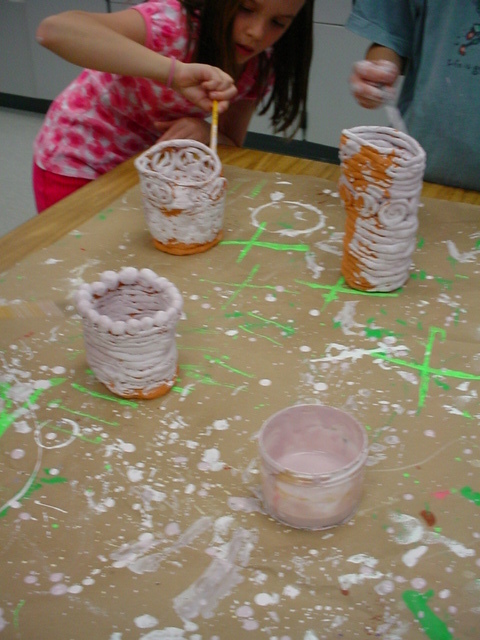 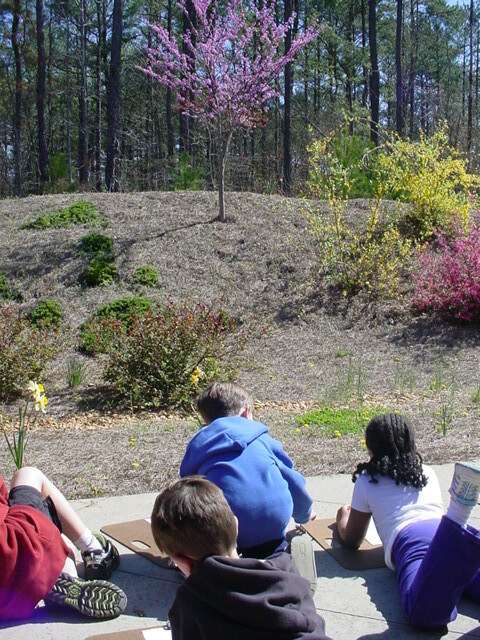 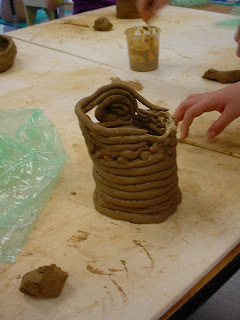 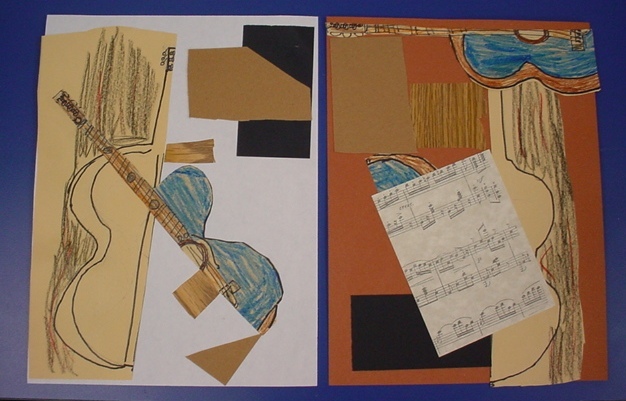 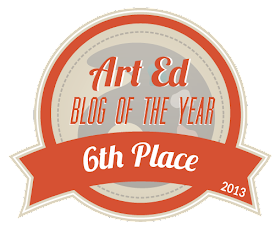 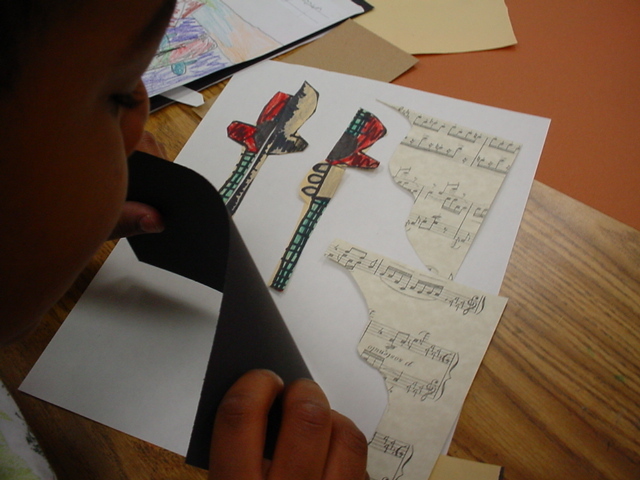 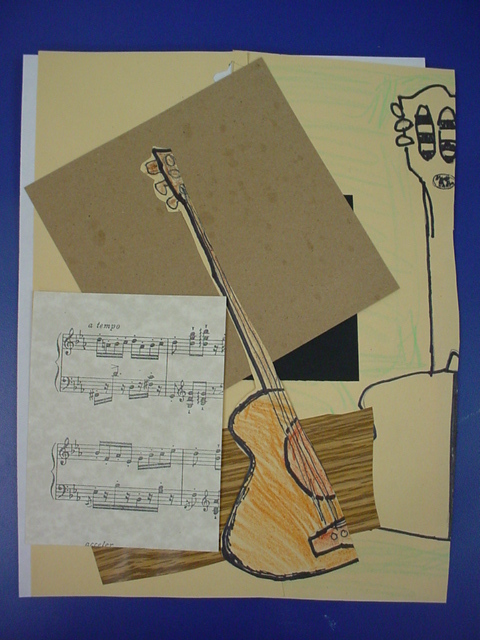 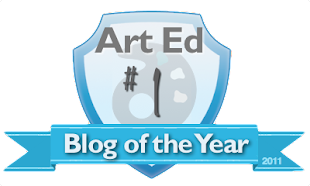 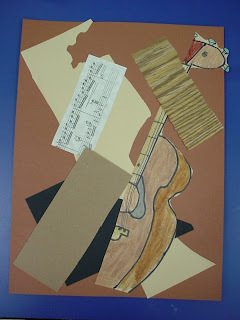 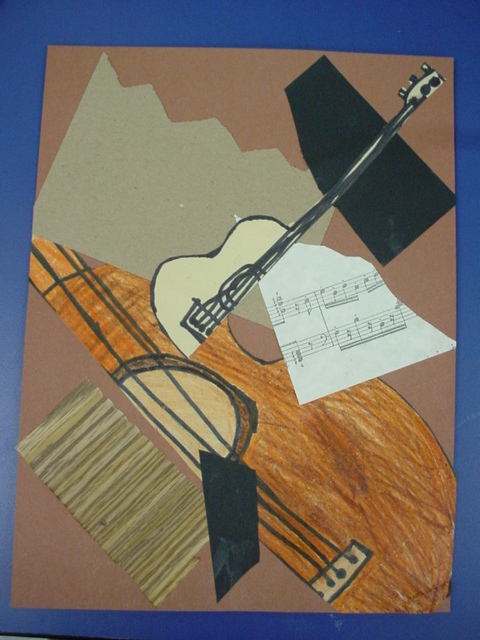 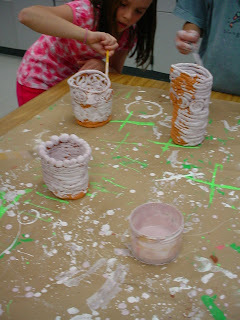 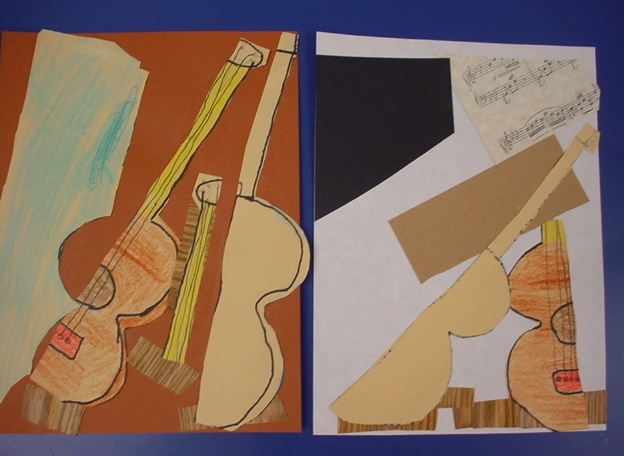 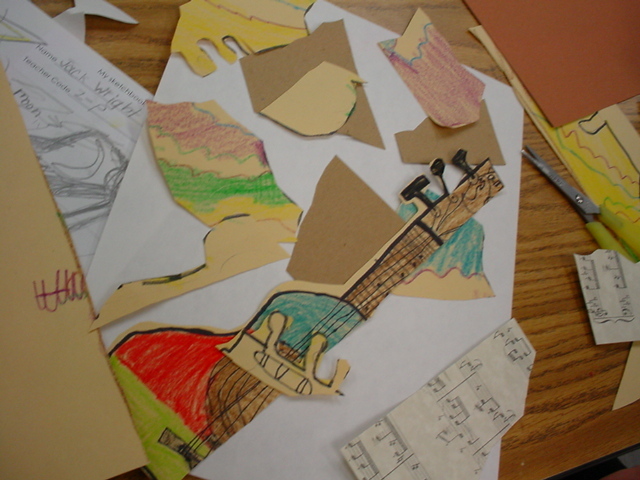 I think it is a great way to introduce younger grades to the idea of abstraction. 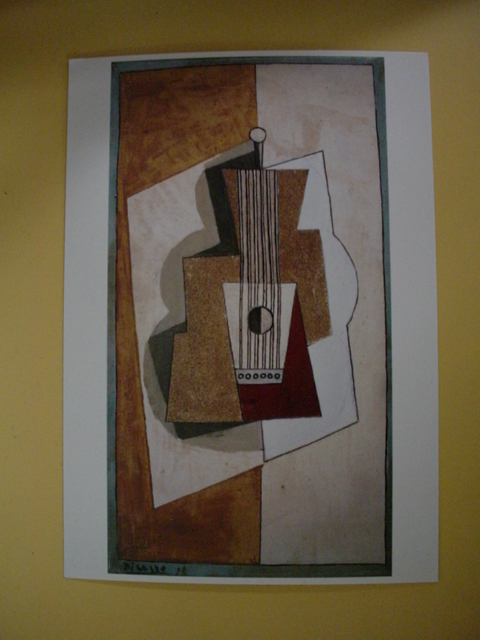 We start by comparing some of Picasso's early, more realistic works with his later ones involving abstractions and cubism. We discuss the fact that Picasso mastered realism in his teenage years, and because he had a very creative mind, he wanted to try new ways of making art that were unique to him. So cubism was one of these inventions - taking forms apart, turning them into geometric shapes, and putting them back together. 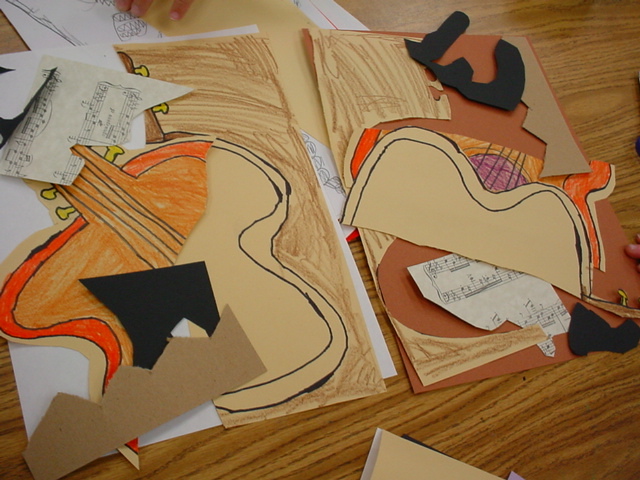 It was a way for the viewer to engage with the art, or "figure it out," like a puzzle.